Since its founding in 2017, Cairo Impro has gained significant popularity with their experimental sounds. Cairo Impro will hold a concert at the Oriental Hall at the American University in Cairo Tahrir Campus on Thursday 4 October. Founded in 2017 by Egyptian composer Bahaa El-Ansari and Cairo-based Polish guitarist Paweł Kuźma, Cairo Impro has held many concerts in the past months and are known for their boundary-pushing music. "We like to experiment with sound, to find new ways how to use it. Playing inside the Oriental Hall gives us this awesome possibility to do it not only for great audience but in a place where this idea was probably performed for the first time in history, by great Halim El-Dabh," commented Paweł Kuźma about the ensemble's upcoming concert. For the Oriental Hall performance, Cairo Impro will be represented by Kuźma (guitar), Daniel Merrill (violin and drums), Hassan Hosny (cello), Samer Shenouda (piano), Shadi Farid (electric guitar and drums) and Taha El Mansy (oud and guitar). 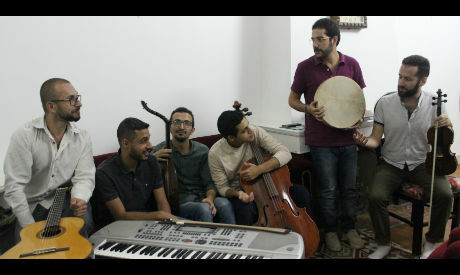 In a promotional post about the event on Facebook, Cairo Impro reveals that the ensemble "started simply with an idea of a borderless art expression and fascination with now-creation of music. It focuses on experimental free improvisation and exploration of various sound materials as a platform for mentioned expression." Past notable appearances include a concert at the Goethe Institute during Shubbak El-Fann, a participatory cultural programme at the institute.